Second test using tap water and 220v AC converted to DC through Diode bridge. 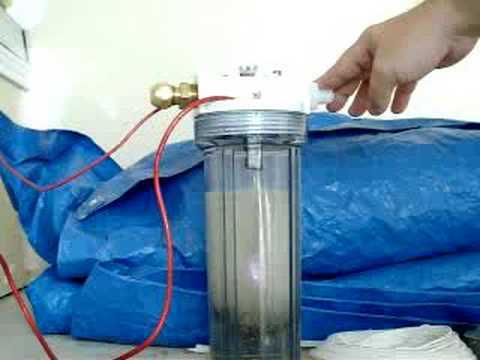 Real cold fusion is done on heavy water (D2O) and uses a palladium cathode. sparks from your 220volts in the presence of H2 and O2 gas. to produce hydrogen and oxygen. Redneck style ??? Where are the Duct tape and 4×4 truck ? So you built a really inefficient electrolysis machine. arc of electricity snapping about in side . Oh ok, so this is just electrolysis of water. breaking water into seperate hydrogen and oxygen molecules. Dear Mr Redneck, I need some advice for an experiment, may we connect? What if the Egyptians discovered this with the Baghdad Battery? conducted, not fusion, all I had done was built an electrolysis unit. compared to the amount of electricity you put in then there’s an excess.